FREE Credit with every download! Try EVCMOBI-OUT for FREE! FREE Call - Text and Video to any EVCMOBI user worldwide! With Evcmobi you can make a call even if you do not have WIFI or mobile internet. Always stay in touch with Evcmobi. We are giving away free credit for EVCMOBI with every download! Try EVCMOBI out for FREE today! Try our HD quality ! Simple user-friendly interface with the highest quaily voice. You can make free calls, chat and HD video calls with other EVCMOBI users through a secure enviroment. Install the app today and get your free topup instantly! We all want to keep in touch and EVCMOBI has a solution for everyone. With a customer portal that allows every customer to tailor their account to their needs. If you own a smartphone EVCMOBI is the "must have" app . Check here how easy this be . 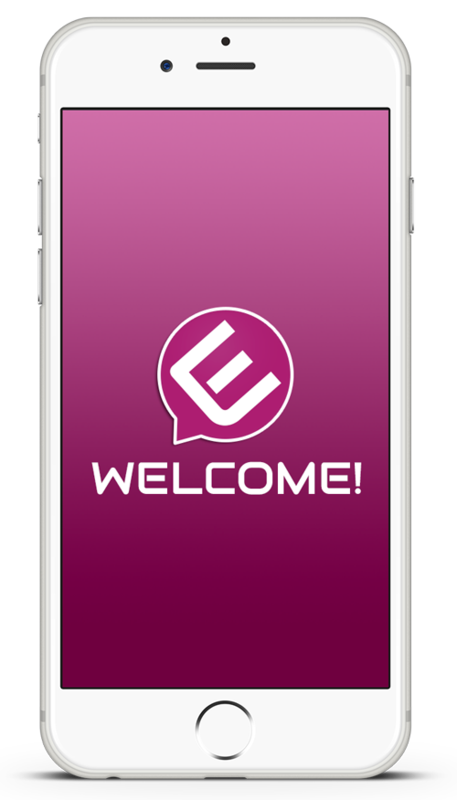 EVCMOBI gives you free voice, chat and video with other EVCMOBI users no matter where they are around the world. EVCMOBI is a next generation app giving you the ability to make calls even when you are wihtout wifi . You can check also here for more low cost opions . Why should I use Evcmobi? It costs you nothing to install and it saves you money every time you use it! Save your money, big time! HD quality ensures your calls are crystal clear! We are giving away FREE credit on EVCMOBI out with every download, so everyone can experience our quality! Evcmobi is connected to your phone book. Reach your contacts instantly! EVCMOBI automatically synchronizes all your contacts on your mobile. Its easy with EVCMOBI! Quality and security are number 1 in our book. The highest quality voice coupled with the best rates world wide. A winning combination. Try EVCMOBI today! Trying to call a non EVCMOBI user? Add funds and select one of our attractive plans, or pay-as-you-go. Whatever your choice , EVCMOBI offers the best rates without connection fees. While our competitors incorporate a global rate sheet. We fine tune our rates for each customer and their needs. Our plans are tailored for each country, so that local users can call locally cheaper than ever. Save money with EVCMOBI. See the market comparison. With EVCMOBI you can have conference calls with multiple users. Send attachments , share location, all with the security and quality assurance EVCMOBI provides. Buy a local number, and create a 2nd phone line for your mobile. Keep it as your private number or share it with everyone. No commitments! Now you can receive calls on your EVCMOBI from non EVCMOBI users. Make a call , even if you don’t have internet! Need to make a call?? But you have no internet or WIFI signal?? Where our competitors fail, EVCMOBI keeps you in touch. Use our advanced calling features to make your call even if you dont have internet or WIFI. HOW COOL IS THAT!!! Travelling? Take EVCMOBI with you. EVCMOBI is the perfect travelling companion. FREE voice, text and video anywhere in the world. No roaming fees or incoming call charges on any of our DID's. That means that people can call you abroad, the same way they call you locally. No additional fees or charges! Click also here to learn how to call all over the world without roaming . EVCMOBI is giving away FREE CREDIT on EVCMOBI out with every new user and download! Download EVCMOBI and call anywhere in the world for FREE! Is your mobile or battery dead? EVCMOBI, provides Toll-Free access numbers to all our cusotmers world wide. We understand about emergencies and having to make a call. Unstopable EVCMOBI ! Once you are registered with EVCMOBI you can use our service from multiple devices. Mobile - PC - Tablet , we cover it all. We realize that not everyone has a smartphone. Send local and international SMS to non EVCMOBI users worldwide. Avoid hefty GSM charges with our low SMS rates. Another exclusive service by EVCMOBI! Express yourself with EVCMOBI. Share pictures, video and location. Enjoy our funny emoticons. Free answering rules with every EVCMOBI private number. Free-Voicemail, Greetings, Call forwarding and much more. A local number ( also known as a DID ) is a phone number that enables customers to be reached directly to their EVCMOBI by subscribers of other networks. Each EVCMOBI account can host multiple local numbers. 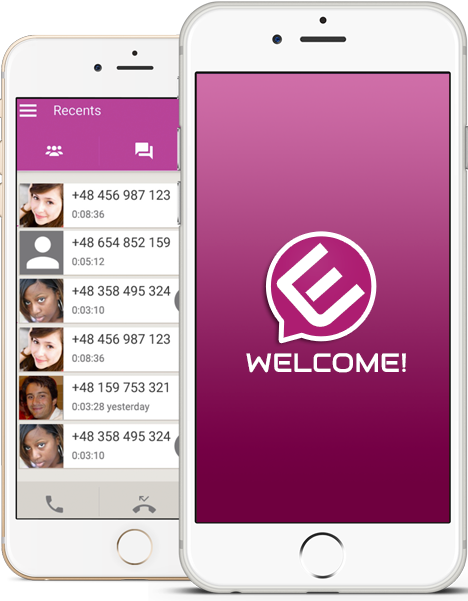 FREE- Chat, Video and Call with all EVCMOBI users , no matter where they are world wide. Simple and Easy to use. Start using EVCMOBI today!! No WIFI? or week signal? Solution :Use our advanced calling features to make your call even without WIFI or mobile internet. ONLY from EVCMOBI!! EVCmobi always save you money. DID we mention? Free credit on EVCMOBI out with every download. Download and use EVCMOBI anytime, anywhere.